Story Sessions welcomes fall with one of our favorite traditions- stories around a campfire at The Little House of Glencoe. 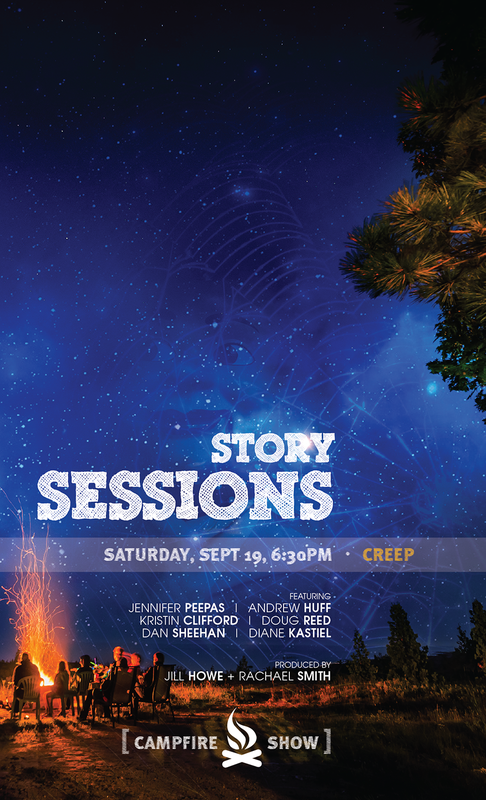 Embrace the sound of crackling wood, the sugary smell of s’mores and the feeling of rustling of leaves underfoot while you listen to stories on our theme, “Creep”. Our pre-show includes a potluck and live music. Dress warmly and bring your favorite snacks. We’ll provide hot chocolate and s’mores. The campfire is an intimate gathering- space is limited! Tickets available soon! Tickets are $12 at Brown Paper Tickets (link coming soon) or at the event, if still available.